A team of astronomers at Hungary has confirmed that earth has not one but three moons. As per the Hungarian researchers, these moons are made up entirely of dust, and these mysterious clouds are orbiting the planet 250,000 miles away, roughly the same distance as the moon. Interestingly, a debate over the existence of these two celestial bodies was first triggered in 1961, when Polish astronomer Kazimierz Kordylewski discovered two mysterious clouds now known as Kordylewski dust clouds. 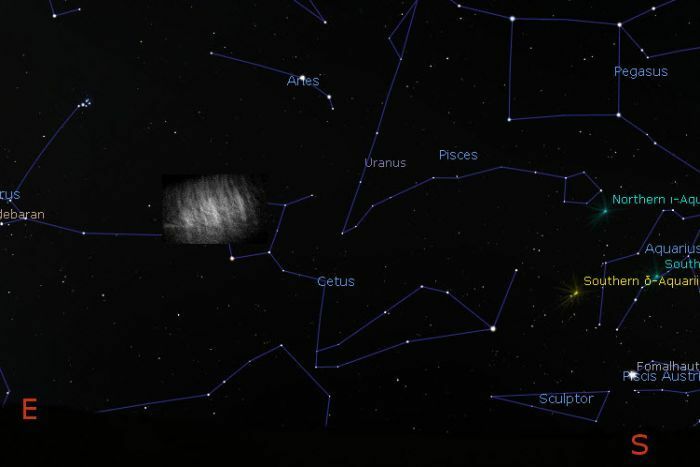 The Polish astronomer also added that these dust clouds may be orbiting the earth around the L4 and L5 Lagrange points. Now, further analysis of these celestial bodies has revealed that these dust clouds are actually pseudo satellites that orbit the earth. "The Kordylewski clouds are two of the toughest objects to find, and though they are as close to Earth as the moon, are largely overlooked by researchers in astronomy. It is intriguing to confirm that our planet has dusty pseudo-satellites in orbit alongside our lunar neighbor," said Judit Slíz-Balogh, an astronomer at Eötvös Loránd University in Hungary and the co-author of the study. As per experts, these satellite clouds have remained in the darkness or unknown to us for so many years just because they are super faint. However, sometimes, due to sun's reflection, these dust clouds appear lightly. During the research, scientists made use of advanced polarizing filters on their cameras and finally succeeded to spot the scattered light reflecting off the individual particles within the dust clouds. Even though the Hungarian researchers have confirmed the existence of two more moons orbiting around the earth, some space experts argue that these mysterious dust clouds could be nothing but a transient phenomenon. As per these skeptics, the gigantic dust clouds spotted by astronomers who took part in this study could be easily blown away due to the gravitational jostling from other planets or solar winds. This is not the first time that new studies on space are reshaping human understanding about the solar system. A few weeks ago, some astronomers have suggested that a rogue space body, most possibly Planet Nine could be hiding beyond Neptune in the solar system. The researchers also revealed that the space in which Planet Nine stays is too dark and this could be the reason why current observatories on earth find it hard to locate this space body.